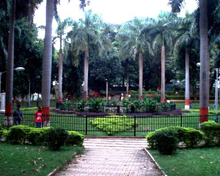 A charming mix of old and modern, Pune, the second largest city in Maharashtra after Mumbai, is as famous for its burgeoning IT and scientific industries as it is for its past architecture. This is one of India's fastest-growing cities as investment by the companies continues with greater pace contributing to the city's economic upswing. Notwithstanding its newfound attractiveness as a business destination, Pune remains steeped in history. Once the seat of the Maratha power, Pune is also the place where the controversial New Age guru, Bhagwan Rajneesh or Osho, established his ashram, a favorite haunt of his followers from across the world. 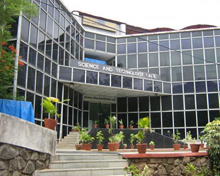 The cosmopolitan city of Pune boasts some esteemed colleges, educational and research institutes, which had earned it the nickname "The Oxford of the East'. Located on the confluence of the Mutha and Mula rivers, the cutting-edge city is also fondly called 'Queen of Deccan' for its beautiful landscape against the backdrop of the Western Ghats. Built in 1892 by Sultan aAga Khan III, the beautiful Aga Khan Palace is known for being the place where Mahatma Gandhi and his wife Kasturba Gandhi were interned by the British during India's struggle for independence. Located on Nagar Road, Aga Khan Palace is now home to the Gandhi National Memorial where you can see the room where Gandhi used to stay. 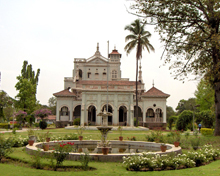 This grand palace should be your first port of call when you travel to Pune. Located near the busy Bajirao Road, the amazing Raja Dinkar Kelkar Museum must be visted when you are on a sightseeing tour of Pune. Set up in 1962 by Baba Dinkar Kelkar, the museum is a repository of rare exhibits and artifacts, musical instruments, statues of gods and goddesses, paintings, manuscripts, terracotta, copper and brass vessels etc collected by him from across the world. Though in ruins, the imposing palace bears testimony to the opulence and majesty of the Peshwa rulers who extended Maratha power to different parts of India. A unique sound and light show staged in the palace takes you right back in time when Maratha power was at its zenith. Situated on the Jungli Maharaj Road at Shivajinagar, the rock-cut cave temple of Pataleshwar is believed to have been carved out of a single rock. Dedicated to Lord Shiva, this 8th century shrine came into being during the rule of the Rashtrakuta dynasty. Every year Osho Ashram has a Monsoon festival which has a number of activities like dance and art workshops, karaoke and food festival. Ashta-Vinayak temples, Chinchwad, National Defence Academy ,Pimpri, Balaji Temple, Sinhagad Fort , Alandi , UruliKanchan, Dehu, Jejuri , Purandhar, Mulshi Lake , Panshet Dam , Bhatghar Dam , Karla, Lohagad and Visapur Forts , Lonavala - Khandala , Shivneri Fort , Panchgani, Wai and Bhimashankar are some of the popular excursions which located within a radius of hundred km from Pune. Pune has many hotels and other accommodation facilities located in close proximity of shopping and business centers providing matchless comfort and hospitality. The city's airport is connected by flights from major Indian cities. Pune is a major railway station connecting important cities and places in India. . Major cities and towns near Pune connected with it by road are Mahabaleshwar (120 km), Mumbai(170km), Nashik (202km), Aurangabad (226 Km) and Kolhapur (237 km).